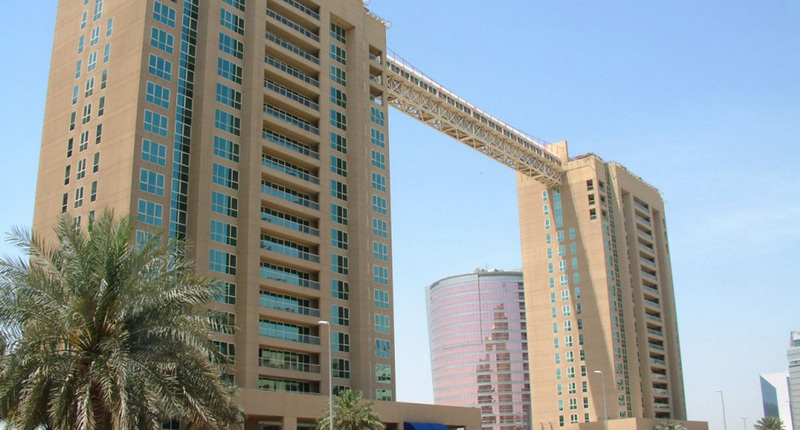 Skywalk bridge and Marriott Executive Apartments create a truly magnificent landmark in the UAE. The footbridge is the world’s longest between two buildings, outstripping the previous record held by Petronas Towers in Kuala Lumpur. 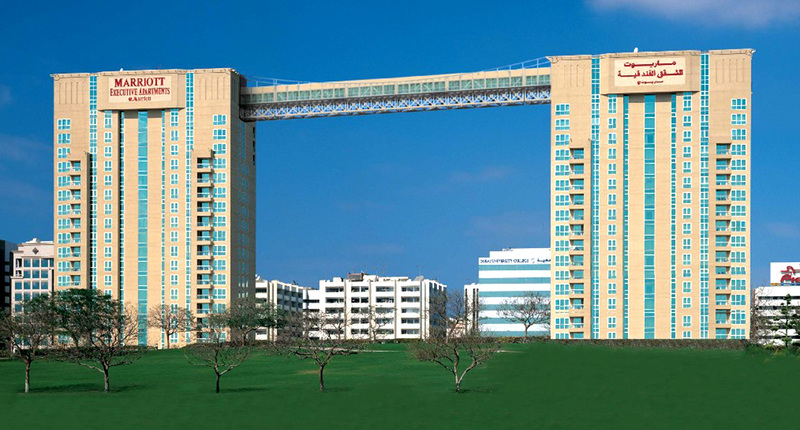 The bridge provides a convenient connection between the Union Properties owned Skywalk Towers, operated as Marriott Executive Apartments for residents to access various facilities, including the Skywalk Café, the rooftop swimming pool and the fully equipped gymnasium. A panoramic view of Dubai’s impressive skyline completes the picture. Placed vertically, the bridge would be one meter higher than the apartments and weighs the equivalent of around 140 Ferraris. It required an incredible 18,670 kilograms of cladding. No less that 37 companies were involved in this unique and truly remarkable project, including internationally renowned contractors, consultants and designers. A scale model was built and rigorously tested in a wind tunnel for fatigue and aerodynamic behavior, by the Danish Maritime Institute in Denmark. 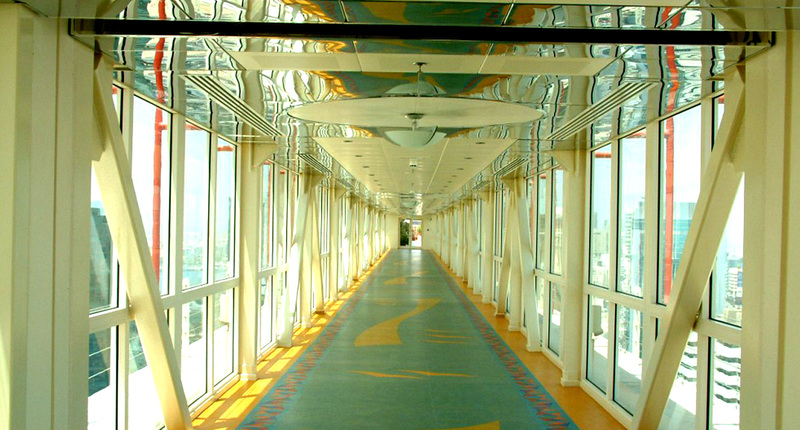 Skywalk Bridge passed with flying colors.